Once a star in the late 80s to the early 90s, Joanna Kerns is an example of truly getting acquainted with one’s art and reinventing oneself when a career phase is over. She was once a known face on the small screens in the situation comedy, Growing Pains but now stands behind it as a director. Scroll down to learn more about the actress-turned-director; professional history, her childhood background and her relationships. Kerns was born into a family of ambitious men and women to a father who was an insurance agent and a mother who was a clothing store manager. Her birth occurred on February 12, 1953, in San Francisco, California. Her parents were able to raise six children, passing on their ambitious nature to them. They raised future Olympic gold medalist, a silent film actress, and Joanna herself. The ambitious and competitive environment at home spurred a rivalry with her sister, Donna de Varona who eventually went as far as winning two gold medals in the 1964 Olympics. Joanna Kerns, however, couldn’t compete with her in her own turf as a sports lady. She did manage to rank 14th out of 28 competitors in a gymnastics Olympic trial. It finally dawned on Kerns that competitive sports weren’t for her; a realization which was further solidified when she had a knee injury in 1970 and ended any hope of having a gymnastics career, she decided to pursue a career in show business instead, specifically dancing. She applied to UCLA and majored in dance. Sometimes, one stumbles onto their destiny. 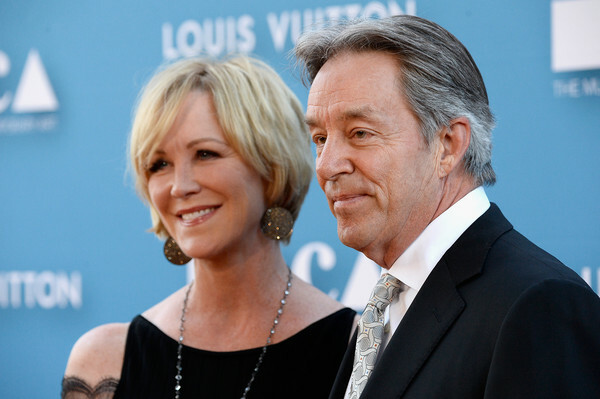 Although she was an aspiring dancer, Joanna Kerns saw the advertisement by a Gene Kelly Production asking for an actress to play a role in a play. She submitted herself for an audition and got a part in the play. As a consequence of appearing in the play, Kerns dropped out of college and moved to New York. In New York, she starred in other plays and production, working with Burgess Meredith whom she gives credits as a great influence on her career. After a period of working on plays in New York, Kerns returned to Los Angeles, this time as an aspiring film actress. She made her onscreen debut in 1976, appearing as Marilyn Baker in A.P.E and as Jessie in The Million Dollar Rip-off. Her first appearance in a prominent project was in 1977 when she had a guest appearance in an episode of Charlie’s Angels. She played Natalie Sands in the episode “The Blue Angels”. As the year went by, Joanna Kerns began to build up her profile, guest appearing in various television shows like The Love Boat, M.E, The A-Team, Magnum P.I. She also starred in a couple of television films like Marriage is Alive and Well, A Wedding on Walton’s Mountain and the sequel, Mother’s Day on Walton’s Mountain. After years of guest appearances and television films, Kerns hit her jackpot of hit shows in 1984. She was cast to play Maggie Seaver in the situation comedy, Growing Pains. The show was hugely successful and it raised Kerns’ profile as an actress, so much that when she took roles outside of her character profile as Maggie Seaver, it was deemed controversial like the role she played in the 1992 film, The Nightman, where she played a highly sexual motel owner. Growing Pains ran from 1985 to 1992. During the run of Growing Pains, Kerns got a chance to try her hands at directing and she immediately fell in love with it. She would later transition from active acting to directing. Since she made the transition, she has been able to grow an impressive resumé of directing in television with shows like Scrubs, Titans, This is Us, Grey’s Anatomy, Pretty Little Liars, among others. She hasn’t appeared in many feature films with her only prominent feature being a 2007 appearance in the film, Knocked Up. Since she moved away from on-camera projects, she had co-founded an Awards ceremony called Lucy Awards that celebrates women in acting. She was also a member, from 2004 to 2008, of the Motion Picture and Television Fund Board of Trustees. The actress/director is worth a whopping $6 million, accrued from a successful career as an actress and director. She has been getting a steady flow of directorial jobs that have helped her amass the impressive net worth. Joanna Kerns is the third child of four children and for a brief period of time, had a rivalry battle with her athletic sister, Donna de Varona. Donna is an Olympic gold medal swimmer who was also a former record holder. Joanna has had the pleasure of being married twice. She was originally married to Richard Kerns, a commercial producer she met while she worked as a TV commercial actress. They got married in 1975 and the marriage produced a child, Ashley Cooper but the couple got a divorce in 1985. Joanna is now currently married to Marc Appleton, an architect based in Los Angeles. The couple got married in 1994 and have been together ever since.